Travel For Plastic Surgery - LA, Beverly Hills, Ca. Francoise Rabin came to Beverly Hills several years ago from her home in London for an “extreme makeover,” including a complete nose reshaping, upper and lower eyelid reconstruction, a mini-face lift, chin implant, fat repositioning and liposuction. And that wasn’t all. Once outside the operating room, she opted for dental work, spa treatments, a hair and makeup overhaul, a manicure and pedicure and a new wardrobe selected from the racks of Rodeo Drive. The middle-aged schoolteacher was part of a British television show called “Brand New You,” which aired on BBC America. 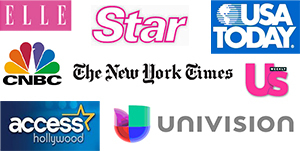 Lured in part by similar extreme makeover TV shows such as E Entertainment’s “Dr. 90210” and Fox’s “The Swan,” an increasing number of people from across the globe are making their way to Beverly Hills for cosmetic surgery. But for many of those visitors, the personal reinvention goes well beyond the work done on the operating table. In Beverly Hills, which may boast more plastic surgeons per capita than any other city in the U.S., a cottage industry has formed that provides packages of far less radical elective procedures – like clothes shopping sprees, facials or spa treatments – for out-of-towners bent on enjoying the celebrity makeover experience to the hilt. And it’s not just patients who are lucky enough to be featured on extreme makeover shows, where their costs are sometimes handled by production companies. On Rodeo Drive, Lloyd Krieger, the founder and medical director of Rodeo Drive Plastic Surgery, estimates that 25 percent of his patients come from destinations more than two hours away. He’s had patients from New Zealand, Ireland, and Saudi Arabia. Rodeo Drive Plastic Surgery now offers a “transformation vacation,” which the clinic helps organize for its patients without collecting money from third parties. A staff member is assigned to help set patients up at high-end hotels including the Tower Beverly Hills and the Beverly Wilshire for extended stays during their recovery. And some hotels around the city even offer discounts for patients that are getting plastic surgery through the clinic. Plastic surgery patients from around Beverly Hills can also elect to stay at “cosmetic surgery retreats,” which can be separate establishments or part of existing hotels. They typically include 24-hour nursing services and other amenities and costs as much as $1,200 a night. One such location, Tranquility Respite Care in Beverly Hills, offers massages, acupuncture and access to a hyperbaric oxygen chamber, thought by some to reduce scars and speed healing. Tranquility plans diets for each guest around their favorite foods for their stay, transports them to and from doctor’s appointments and takes them on day trips to local destinations. It also sets up salon appointments and personal shoppers. 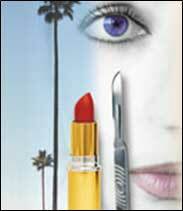 Through the “transformation vacation” at Rodeo Drive Plastic Surgery patients can get many of the same services. The plastic surgery office can arrange for clients to meet with personal shoppers along Rodeo Drive and set up appointments at hair and makeup salons. Mauro Hair Studio handles about 20 plastic surgery patients per month from Rodeo Drive Plastic Surgery and several other clinics around Los Angeles. For $125 patrons can buy a consultation on what hairstyle will look best with their new face or chest, and for another $100, they can get a hair cut. There are additional charges for dyeing and products. One woman from North Carolina who asked not to be named came to Beverly Hills for a nose job last year. She decided to partake of some of the extras Beverly Hills offers, including hair styling, while she was here. In total, the woman estimates that she spent about $24,000 on her trip. 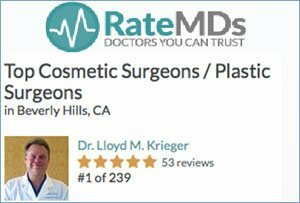 Krieger, of Rodeo Drive Plastic Surgery, uses his position at the center of one of the most well known shopping locales in the world as a selling point for his business. Krieger even offers surgical procedures designed to create a body shape suited for wearing clothing well. The “Rodeo Drive Couture Breast Augmentation,” as the clinic calls the procedure, makes women’s breasts the shape and size that looks best in up-to-date styles. “If we are obsessed with just making the breasts bigger, they could come out top heavy and not have an appropriate fit for clothes. Sometimes it means going smaller than people initially wanted,” he said. Krieger maintains relationships with retailers along Rodeo Drive who inform him about the latest style trends and what’s coming through the pipeline, he said. He also reads fashion magazines. “Almost invariably people coming from out of town want the whole Beverly Hills package,” he said of his patients. “Virtually every time I see a patient in follow-up, they are carrying a bag from a store along Rodeo Drive.” ? You can read more about the Rodeo Drive Transformation Vacation™, our innovative program for plastic surgery travel. Also check out how we were rated the world’s #1 destination for plastic surgery travel.